Cut the potatoes lengthwise into halves, then quarter them. 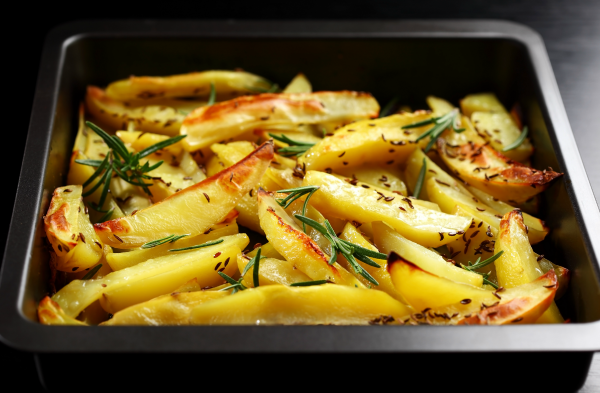 Place them into an ovenproof dish, pour on the lemon juice and sprinkle with salt and pepper. Dot with butter. Pour the hot water around the potatoes and place into the oven. Bake for about 1 hour or until the potatoes are tender.